The Community Emergency Response Volunteers (CERV) of the Monterey Peninsula is helping the American Red Cross of the Central Coast to recruit volunteers for theirSound the Alarm! Smoke alarm installation event. Sponsored by The American Red Cross of the Central Coast and Seaside Fire Department. Come help your neighbors for a few hours this Saturday and build community resilience.What? Volunteers will work with a team to install fire alarms in homes in Seaside. Your team will help residents by reviewing common ways home fires start, earthquake preparedness and safety, and assisting in devising a home evacuation plan in the event of an emergency.When? Saturday, January 26th from 9AM to 2PMWhere? Go to Seaside Fire Department. 1635 Broadway Avenue, Seaside, CA 93955Will I receive training? YES Community volunteers will view orientation videos and job role guides (emailed to you) prior to the event. You will be assigned to a team and receive training at the Fire Department before you are deployed to the community. Please contact Helen Cosentino, by email at Helen.Cosentino2@redcross.orgTODAY with the Subject: "Seaside Sound the Alarm". [If you would like more information or have questions, you can contact Helen Cosentino by email at the address above or by phone at 831-247-6585. ]What else should I know? Teams will be deployed by 9:30 AM so please be there by 9 AM so you can be assigned to a team and be oriented. You will receive a Red Cross Vest, name tag, breakfast snacks, coffee, water and lunch. Dress comfortably and wear comfortable shoes. IMPORTANT. 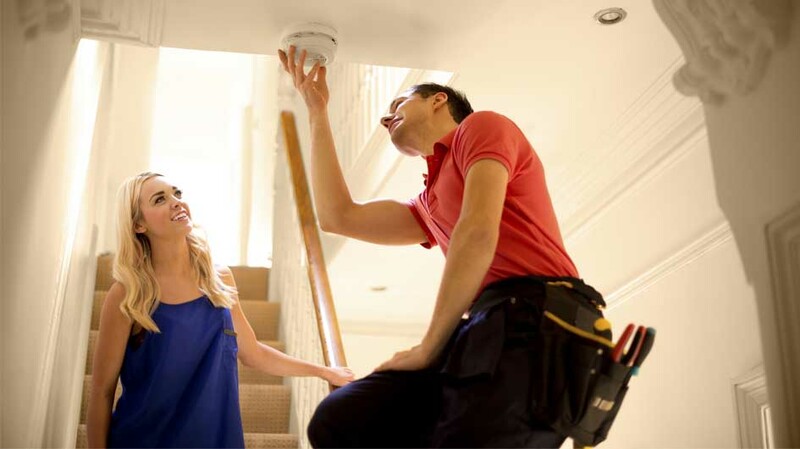 If you know of someone who may need smoke alarms installed/tested in their home, please share our phone number. Clients interested can call us at 831-600-4914 to leave a voicemail requesting an install appointment. Volunteers are available several days a week for appointments in Monterey, Santa Cruz, and San Benito Counties. Thanks to the American Red Cross of the Central Coast and to Helen Cosentino, Disaster Program Specialist, who is organizing this effort.